Kate Waters is a reporter for the Daily Post. One day while reading through another newspaper, she sees a small story on the back page, that she knows she needs to make her own. The story is about a baby's body being found at a construction site. Although there hasn't been any identification on the baby, police have said that the body could have been placed there recently or years prior. Since Kate is looking for a story to really hit the front page, she talks her editor into letting her investigate the story. During her investigation, Kate comes across a woman named Angela Irving and her husband Nick. Angela and Nick, forty years ago, lost their middle child Alice, while Angela was still in the hospital recovering after giving birth. While Alice slept in her crib, Angela left the room to take a shower. When she came back, Alice was gone. Although they searched the hospital and continued searching, Alice was never seen again. When Kate goes to talk to Angela, Angela is adamant that the baby that was found is Alice. After talking with Angela, Kate encourages her to reach out to the police involved with the case now for a possible identification. After days of waiting, the news finally comes back and the baby is a positive match to Angela. After finding out that the baby is a match, Kate runs her story. After running her story Kate receives a call from a woman, using a fake name, looking to get more information about the baby and asking Kate to continue looking into the story. The woman claims that the baby may not actually be Alice at all. When Kate presses the woman for details, the woman suddenly has to get off the phone. The mystery woman on the phone is Emma. Emma works from home as a book editor while her husband Paul is a professor at the local university. As Emma tries to carry on a normal life, sometimes her anxiety gets the best of her. Although for years Emma has been deemed to have a mental illness, no one understands the full extent as to why. With this new information, Kate continues to investigate. Through her investigation, Kate uncovers many secrets and keeps some information to herself. Soon, she must decide what, if any, of this information she will give to the police. After talking it over with her editor, they decide that Kate needs to bring all that she knows to the police. After bringing her information to the police, although Kate has the story she wanted, she finds herself in the middle of a decade-long mystery. 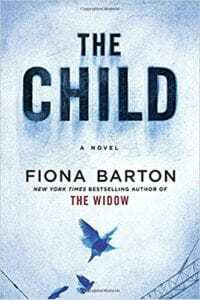 The Child is a great read. This book will leave you wanting more. It is very hard to put down. Your investigative skills are put to the test because just when you think that you may have an idea as to where the story is going, another twist happens and another piece of the puzzle is added. It isn't until the end that you truly understand why and how everything happened. Quill says: If you are looking for a heartwarming mystery, that will put your investigative skills to the test, this is your story.